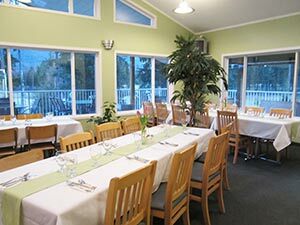 All accommodations include a full breakfast, coffee and juice at the Osprey Mountain Grill Balfour Golf Course. You have your choice of anything off the breakfast menu, including the Eggs Benny, or the daily breakfast special. Breakfast vouchers will be in your arrival package. Not a breakfast connoisseur? The coupon will have a $12.00 value towards your lunch. A selection of teas and organic Nelson Kootenay Coffee is available in the suite for your early morning get up and go. © 2019 Annie’s Bed & Breakfast of Balfour, BC.